You may or may not have heard of Rebecca Minkoff but for those who haven’t let me introduce you to the brand, the Rebecca Minkoff brand specialise in casual luxury handbags, accessories and apparel, with urban, edgy designs with celebrity lovers such as Keira Knightley, Agyness Deyn and Reese Witherspoon to name a few, what best way to bring her best-selling handbag colours but with essie. 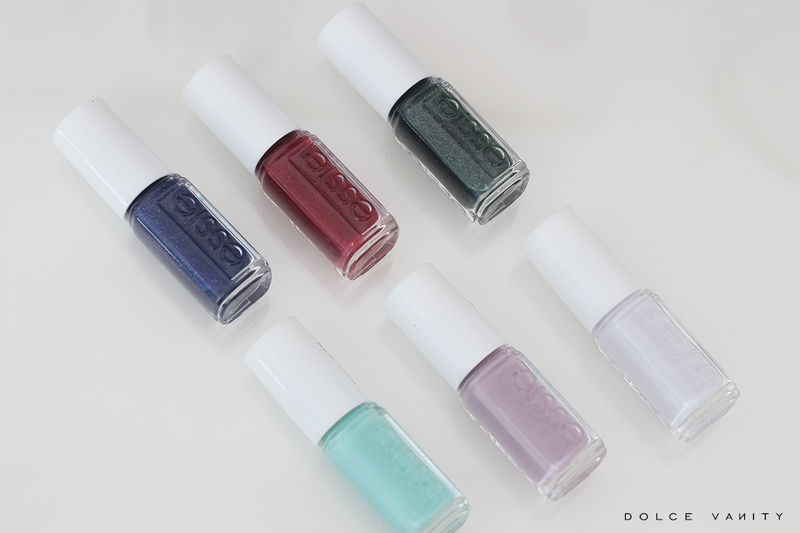 But did you know for the past couple years Rebecca has been essie’s Global Colour Designer? So who better to really bring this edgy collection than Rebecca. With leather accessories being at the core of the Minkoff brand it’s only natural for this to occur. 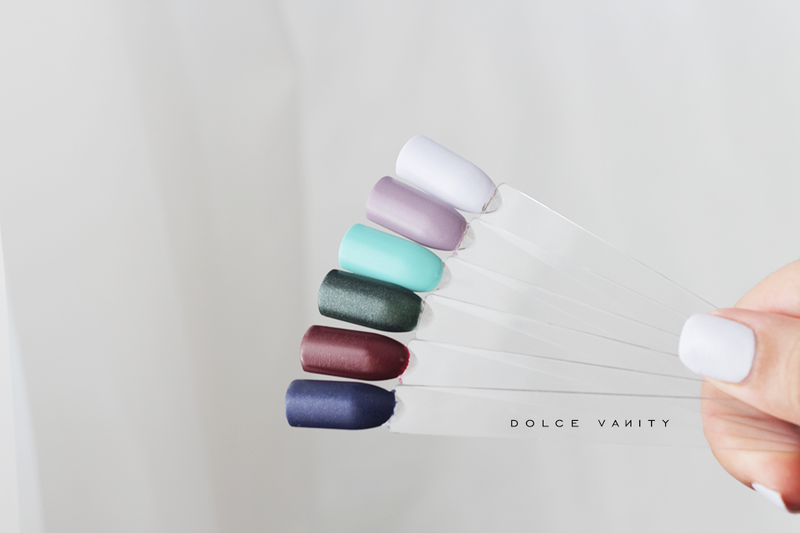 Each one of these 6 shades come in two separate mini kits, these have a semi-matte leather finish, so our manicure can now match our favourite bag – ahhhh smart!! These require two coats and no top coat and we get a glossy but subtle lustre effect, it’s certainly a new one for me. Mini kit one a collection of three deeps: indigo blue, oxblood red and viridian green. Intensely saturated colours that create a moody feel that set the stage for a rock'n'roll & dark romance. - In Hot Purse-uit: Pretty and provocative, a rich indigo blue trimmed with a glowing violet. - Tote-ally in Love: Deep oxblood red with a flash of light crimson. - Back in the Saddle: Dark blue-green cast in silver. Mini kit two a collection of three beautiful brights: plush lilac, rosy mauve and turquoise green. Designed by Rebecca in an adorable morning after bag design, signature of the designer’s label. - Bucket List: Turquoise green brush in a light aqua luster. - Cross-body Heat: Rosy mauve accented with subtle lavender. - Push the Envelope: Plush lilac with a silver glimmer. Which colour are we loving most? Available from 27th September - 24th October in Boots. Some of these shades look perfect for Autumn/Winter, especially the Indigo and Red shades! Might have to put this on my wish list! I agree they are, a lot of people go for darker tones in A/W and these fit well even with our wardrobes most likely. It's a very vivid and beautiful finish polish. I like the lighter shades. Those are shades I would wear. I love that you're whatever the tone all year round. These are beautiful colours and a great price, love cross-body heat the most. Gorgeous. I definitely agree, these shades were hard to choose from. These are my favourite shades. I'm not much into makeup, but I love my nail polishes, and blue is my favourite one to apply! Thank you. It's a beauty. I agree, the price for the mini kit is very reasonable considering I find smaller polishes get more use before going bad.